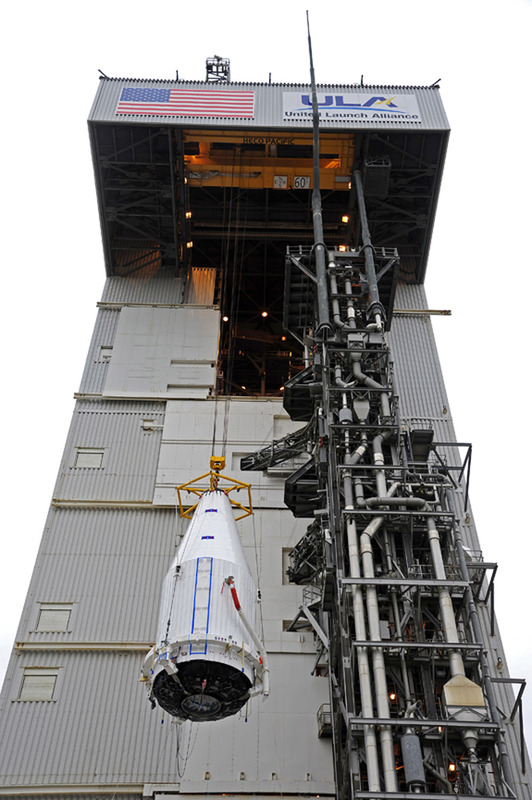 Rising from the ground and into the launch pad gantry, a clandestine U.S. national security payload was fitted atop its Atlas 5 booster rocket in California today for the ride into space on March 1. The National Reconnaissance Office’s NROL-79 spacecraft, its identity and purpose marked top-secret, will be deployed by the United Launch Alliance Atlas 5 rocket. 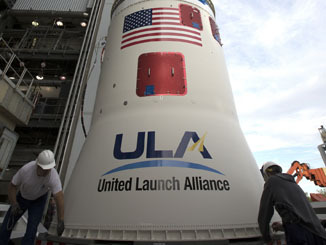 The unclassified launch time has not yet been announced. But the last major pre-flight milestone was completed this morning as the encapsulated payload was brought to the Space Launch Complex 3-East and hoisted aboard the Centaur upper stage. 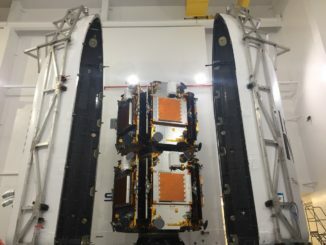 Final testing to confirm the readiness of the combined payload and rocket will be performed ahead of senior-level reviews to grant approval to proceed with the mission. 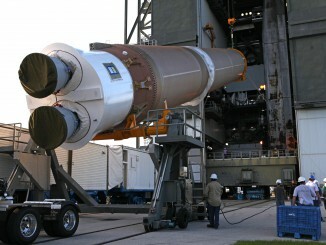 It will be the 70th flight of the Atlas 5 since 2002 and its 14th for the NRO. The NRO is the secretive government agency responsible for the design, launch and operation of the nation’s fleet of spy satellites.